You are here: Home / Product strategy / How much do you REALLY need to raise on Kickstarter or IndieGogo? 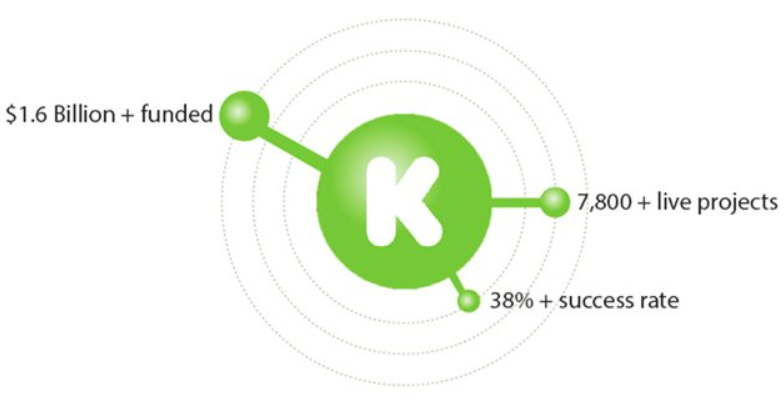 How much do you REALLY need to raise on Kickstarter or IndieGogo? Kickstarter, and other crowdfunding sites like Indiegogo, have created an unprecedented level of access to funding for inventors, entrepreneurs, and start-ups. It’s easier than ever before to develop a new product, manufacture it, and launch it to market, but it’s also easier than ever before to make some huge mistakes, which can sink an otherwise promising venture. Crowdfunding is a fantastic way to fund a new product venture. You can essentially pre-sell your product before your produce it. (Yes, I know, on Kickstarter you’re actually giving rewards to backers and not ‘selling’ a product – nudge nudge, wink wink.) You’re able to test the market, and understand if there is pull for your product before you invest in production. And, aside from what you invested in the crowdfunding campaign, you’re using someone else’s money to launch your business. All in all, a fantastic deal! But, anyone who has been watching crowdfunding for a while knows that “successful” projects often fail for a very simple reason. They reached or exceeded their fundraising goals, but they simply didn’t ask for enough money. In some cases the campaigns raised enough money, but mismanaged and spent the funds on the wrong things because they didn’t understand the product development and product launch process. MiIDKey, for example, was an interesting concept for a small USB device that keeps all your passwords together. This project raised almost half a million dollars on Kickstarter, plus additional funding from independent investors. Several changes to the design, which apparently were made much too late, after too much money had been spent, eventually contributed to the demise of the company. Thousands of backers never got the product they were expecting. Other examples include the Kreyos Smartwatch, which raised $1.5 million on Indiegogo, but failed to deliver because the team behind it had limited knowledge of the technical elements of product development. Also, the ZPMespresso “PID controlled espresso machine”raised an impressive $369,000 on Kickstarter, but this proved to be significantly less than what was needed to bring the product to the market. Again, in both cases, backers were left with nothing but lighter wallets. Sadly, each of these projects may well have had the core elements necessary for success. If handled slightly differently, they might have produced viable products that could be on the market today. A common missing piece seems to have been a robust, realistic, early product development plan. Such a plan forms a roadmap to be followed from early conceptual stages through to production. It helps a product company to have a good understanding of costs and schedule. The plan identifies the key unknowns and challenge areas of the development path, so that they can be dealt with in a rational way. Perhaps most importantly, the product development plan helps the team to stay focused on the goals, rather than making changes and mods at the wrong time. There are many expenses associated with launching a new product to the market. A strong product development plan can help to build a picture of the development and piece-cost elements of those expenses. But, there are additional costs that must also be considered: insurance, testing, shipping, customs and duties, warehousing, and others. Bottom line: it’s great to raise a lot of money through crowdfunding. But, without a thorough product development plan, it’s hard to know what a ‘lot of money’ really is. Yes, you may raise a million dollars to fund your new widget, but that widget may take more than a million dollars to launch, so you end up without a business, and with a bunch of backers who will never buy anything from you again.